You know when you get an “aha” moment when reading a book and it really starts to make you think that what you read could really happen?!?! Well I had that moment while reading this book and it freaked me out. Not that I was going to become some super smart scientist who can discover groundbreaking material, but just that there are other dimensions within our own. Crazy stuff going on in this book!! Jason Dessen was once an up and coming scientist with a bright future ahead of him. No one had any doubt about that. When his future changes by getting a girl pregnant and settling down with her, his career takes the backseat. Fifteen years later Jason is a college physics professor and is happy in his average life with his wife and son. One night while leaving a bar he is kidnapped and questioned about his current life which not only scares him but makes him extremely curious. When he wakes up he feels different and his surroundings aren’t familiar. The man who woke him greets him like an old friend and the many people watching him all see incredibly proud. What is happening to him? Is he dreaming? It seems as though he is in a different world, one where he is not a physics professor but a world famous scientist who has accomplished great things. What is he going to do and how is he going to get back to his family? Dark Matter is 340 pages long and took me three days to read. 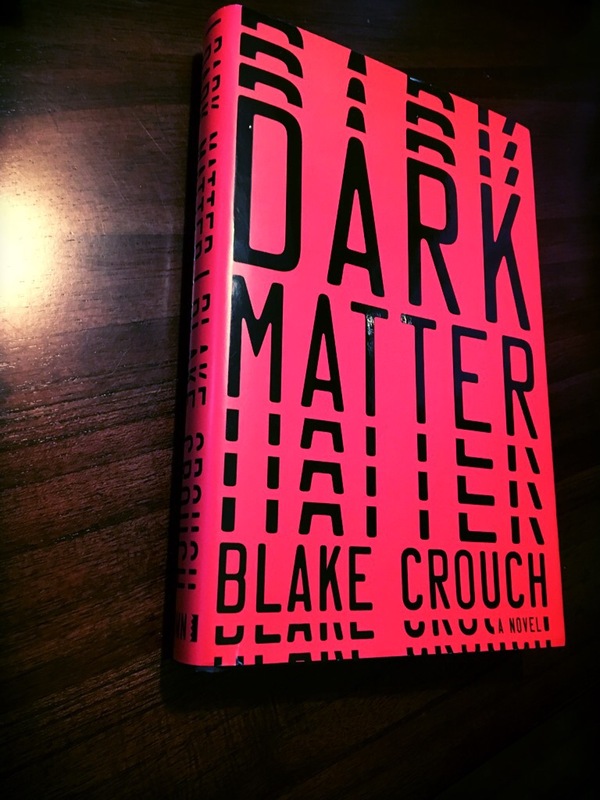 I am giving Dark Matter a 4.5 out of 5 because this might be one of my favorite books of all time. With its ingenious plot and constant turning of the road to the finish, I was completely hooked. I highly recommend this book to anyone who will listen. It is fascinating and truly is a unique story!